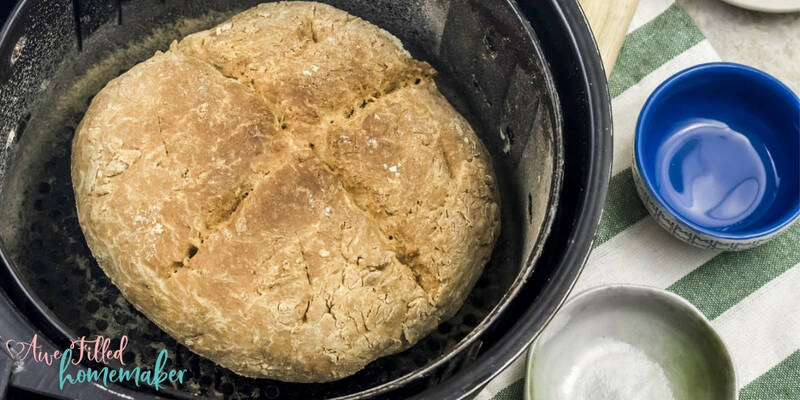 Who doesn’t love the idea of making some delicious, addictive, chewy Irish Soda Bread in their Air Fryer? 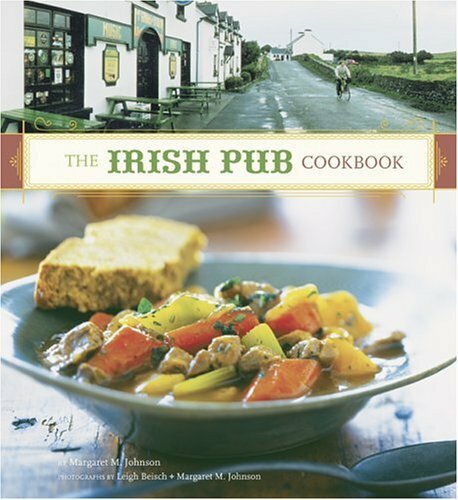 With the St. Patrick’s Day right around the corner, there’s never been a better time to whip up a loaf or two. 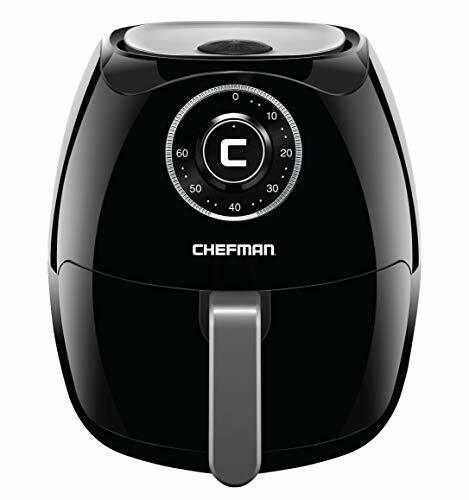 Food plays a big part in our lives and I’m always looking for recipes that I can prepare in our Air Fryer or (multiple) Instant Pots. The reason this Air Fryer bread recipe works so well in our house is that it’s simple to make, it’s soy free, and it comes out delicious each and every time. We all probably have those recipes that are our “no fail” recipes, right? You know, the ones that we can make each and every time and know that we’ll never run into any issues. 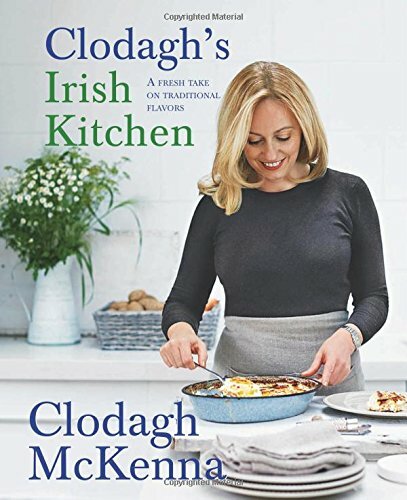 This Irish Soda Bread recipe is that way for me. Every time I make it, it’s always a total hit. 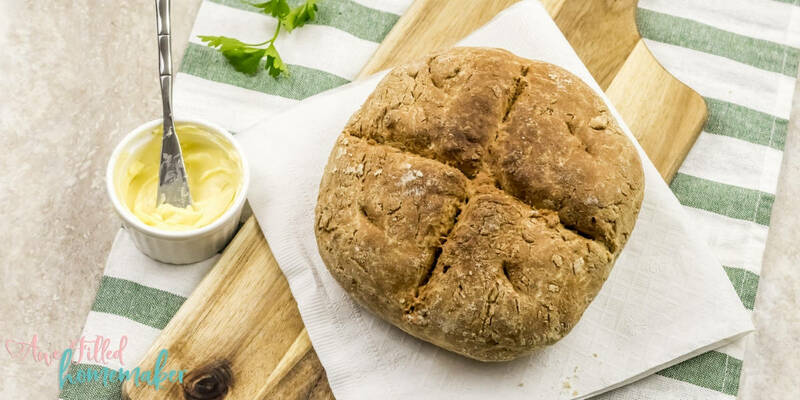 While I mentioned earlier that this soda bread would be great for St. Patrick’s day, that doesn’t mean it isn’t perfect for any other day as well. Sometimes, it’s fun to be festive and find food that fits with certain days, but if that’s not your thing, make this bread any ol’ time you want! This bread can be made in a jiffy and is good for lunch and dinner as well as leftover sandwiches for hubby’s work lunch. History Lesson! 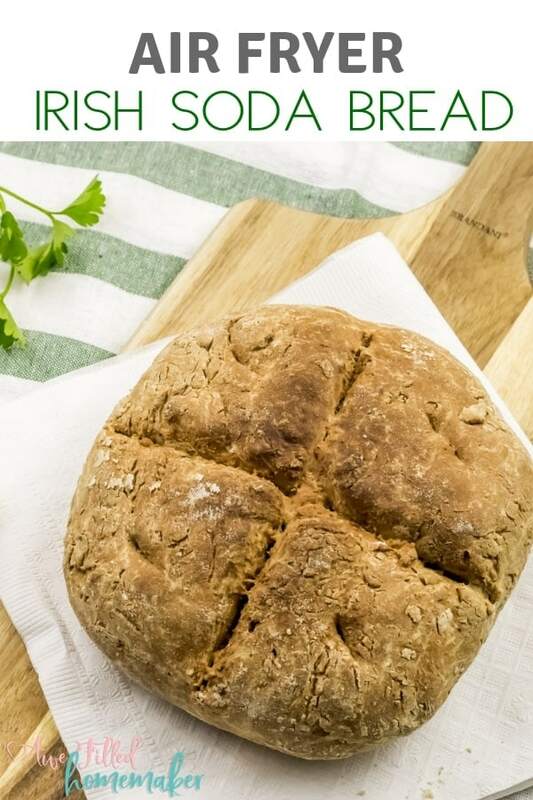 What is the history of Irish Soda Bread? Well, I know the name can be a tad misleading, but you won’t find “soda” in the sense most of us think of soda in this recipe. There’s no traditional soda beverage found in this recipe. So why does it have soda in the name? Well, the term “soda” comes from bicarbonate of soda which is actually baking soda. Therefore, the name comes from the leavening agent that gives this bread its flavor! The bread is traditionally round, which is perfect for us Air Fryer people! Why is it round? Years before ovens were readily available in each and every household, people cooked over open fires. They made the bread in pots, which mad the bread into its round shape, and was cut into pie like slices. Pretty cool, huh? How do you even eat Irish Soda Bread? There are so many different ways! You can eat soda bread by slicing it then and spreading butter or topping it with your favorite jelly or jam. 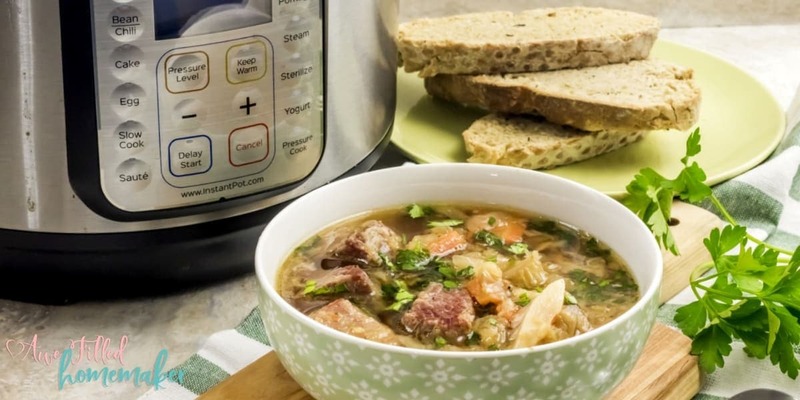 It’s super yummy with this Instant Pot Corn beef & Cabbage, Instant Pot Flu Fighting Chicken Noodle Soup or any other type of soup for that matter. This bread is also great for making sandwiches. 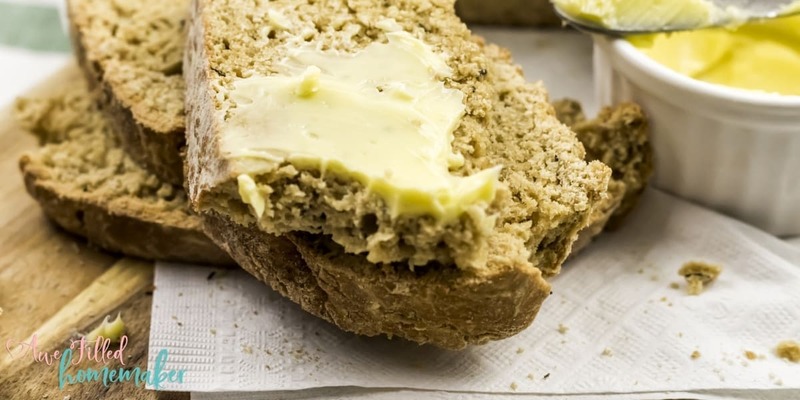 What makes Irish Soda Bread different from other types of bread? The secret lies in the buttermilk ingredient that gets added to the mix. It has a sort of reaction with the baking soda giving it that airy and dense texture and flavor that we’ve all grown to love. There aren’t many breads that actually use buttermilk as part of the ingredients. 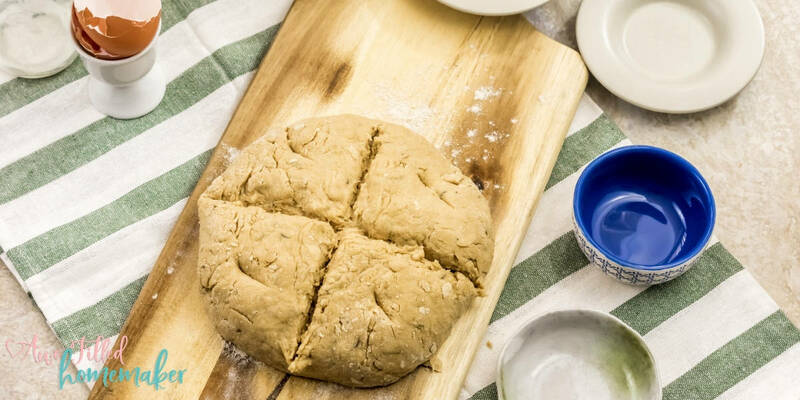 Once made, how long is soda bread good for? 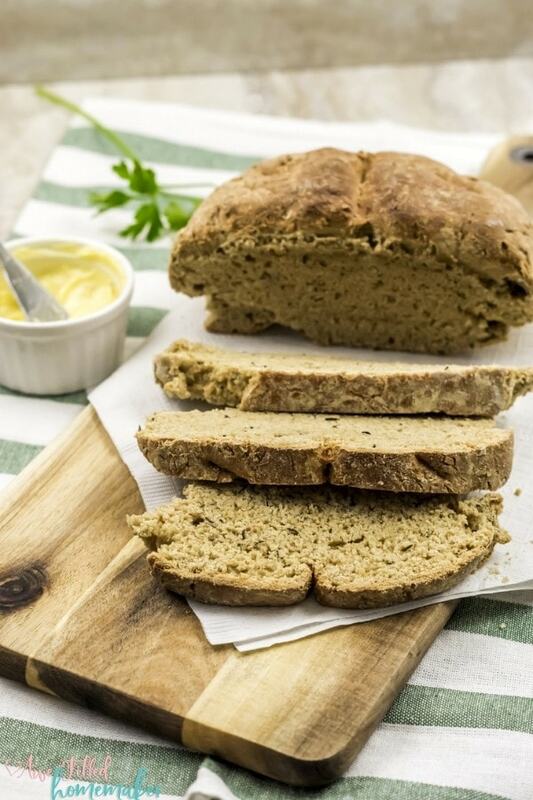 Soda bread can tend to dry up more quickly than other bread, so a good rule of thumb is to eat it within 2-3 days if possible. You also need to keep it stored in an airtight container to help it last as long as possible. If you do decide to freeze it to enjoy later, it should last for a couple of months in an airtight container or package in your freezer. Als0- here are some suggestions for recipes that this bread would pair well with! Now that we’ve answered some questions, it’s time for the recipe! 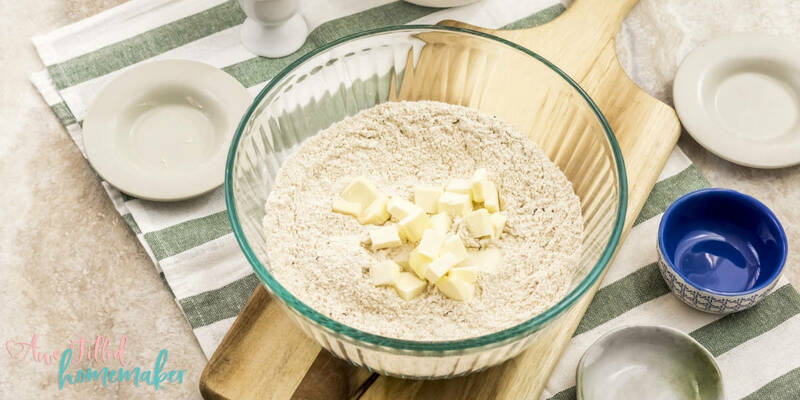 1) In a large bowl, combine the whole wheat flour, baking soda, salt and the caraway seeds. Mix well. 2) Add the cubes of chilled butter. 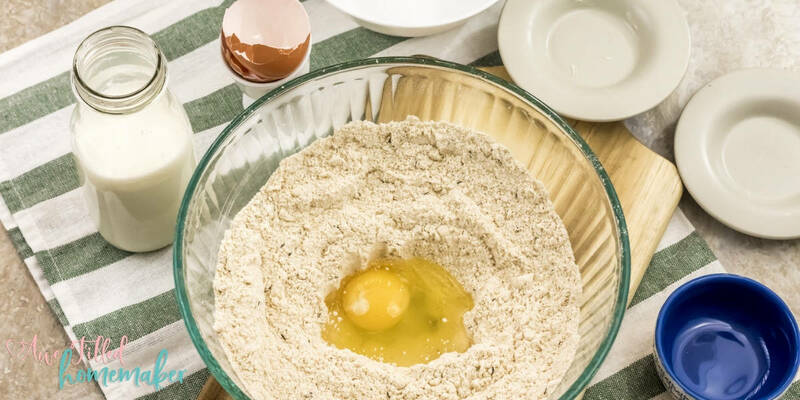 Using a fork or a pastry blender, mix it with the flour until the flour looks like coarse crumbs. 3) Make a well in the center and add the egg followed by the buttermilk. 3) Mix it with a spatula until everything is combined. It will be a very sticky dough. 4) With well-floured hands, work the dough into a ball. Turn the dough into a well-floured surface and lightly knead it into a rough 6 inch ball. Do not over knead. 5) Using a serrated knife, score an X on the top of the dough. 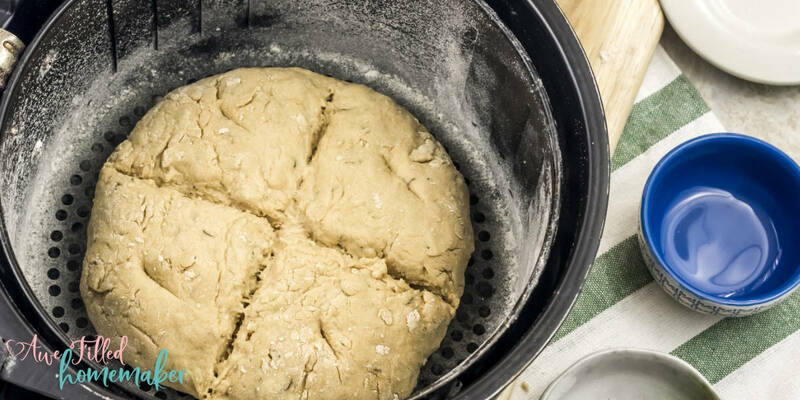 6) Very carefully transfer the dough into a well-greased air fryer basket. 7) Air fry at 350F for 30 minutes. Insert a toothpick in the center and if it comes out dry, it is done. 8) If it the toothpick comes out wet, continue to bake using 5 minute intervals. 9) When fully baked, remove from the fryer and place on wire rack to cool. 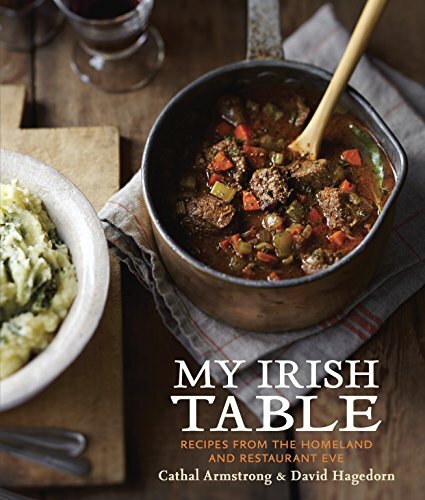 10) Slice and serve with butter or jam or with hearty soup and stews, like our Instant Pot Corn Beef & Cabbage Soup. 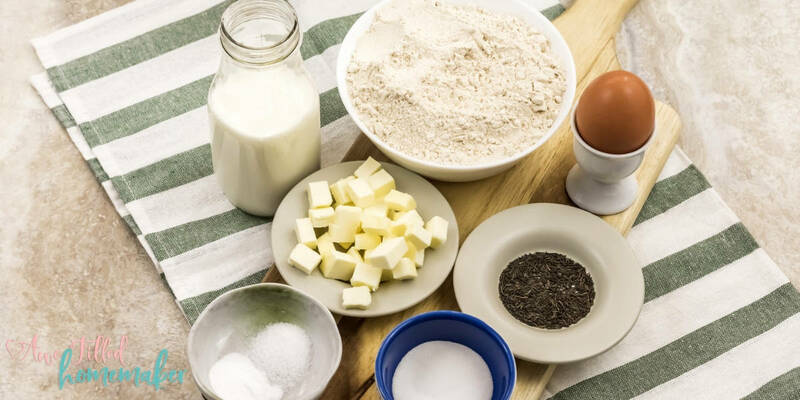 If you don’t have buttermilk, add a tablespoon of white vinegar in a measuring cup. Add milk until it reaches the 1½ cup mark. Let it stand for 5 minutes and then add it in place of buttermilk. 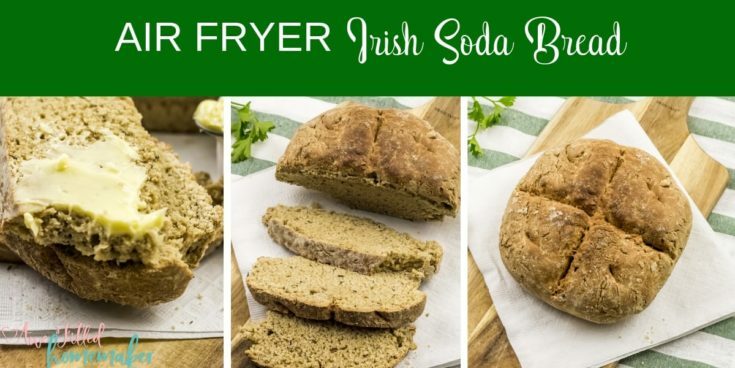 Just like that, you’ve created your own homemade Air Fryer Irish Soda Bread! It’s perfect for however you want to eat and serve it, but try to find fun ways to share it with your family and friends! 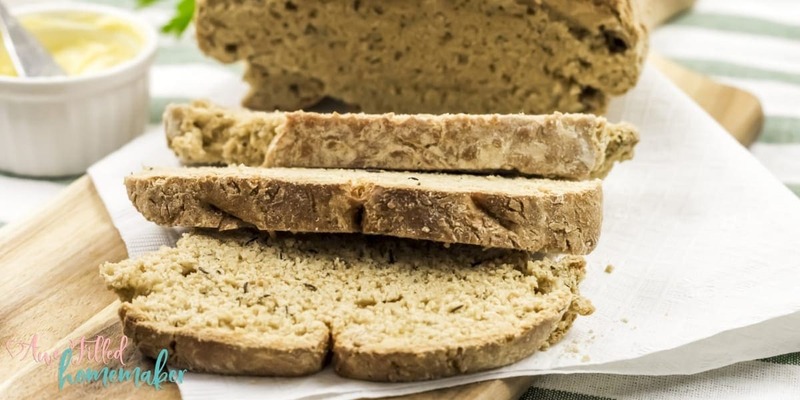 This bread recipe is just too good to keep to yourself! 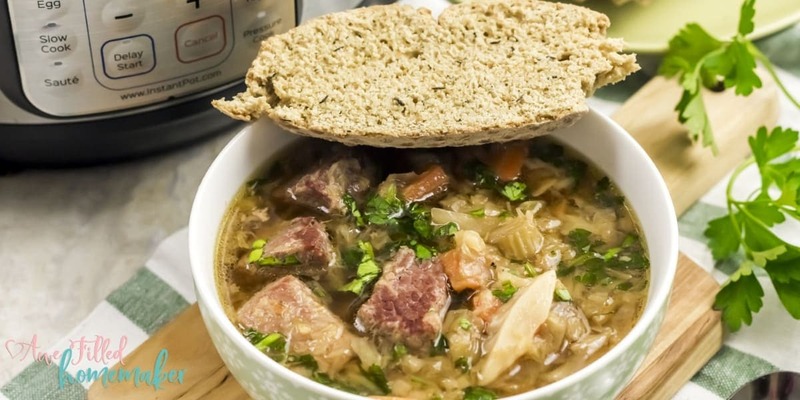 Serve along side our Instant Pot Corn Beef & Cabbage soup for a winning combination too! 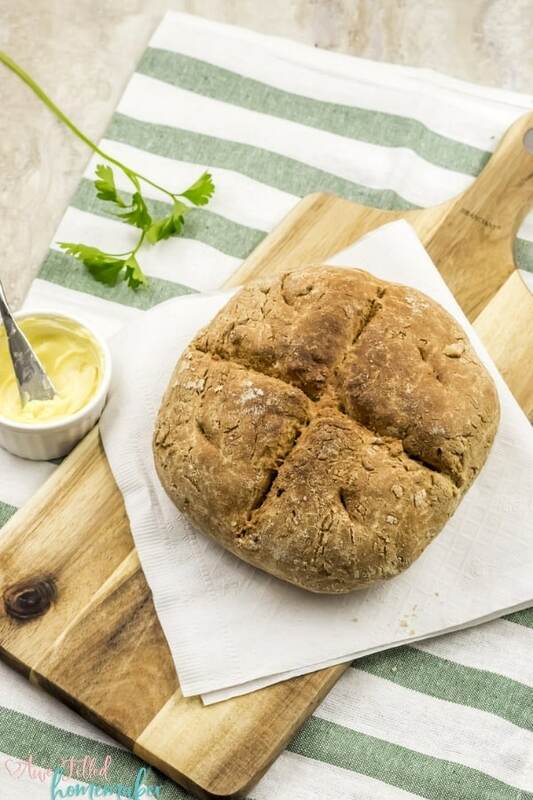 Who doesn’t love the idea of making some delicious, addictive, chewy Irish Soda Bread in their Air Fryer? 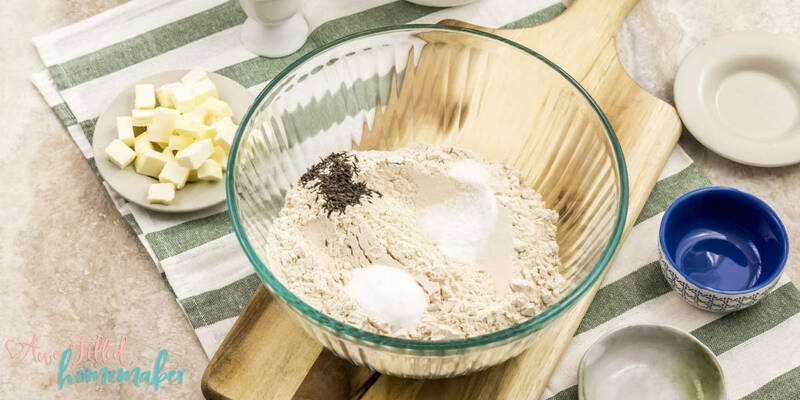 In a large bowl combine the whole wheat flour, baking soda, salt and the caraway seeds. Mix well. Add the cubes of chilled butter and with a fork or a pastry blender, mix it with the flour, till the flour looks like coarse crumbs. Make a well in the center and add the egg, followed by the buttermilk. Mix it with a spatula until everything is combined. It will be a very sticky dough. With well-floured hand, work the dough into a ball. 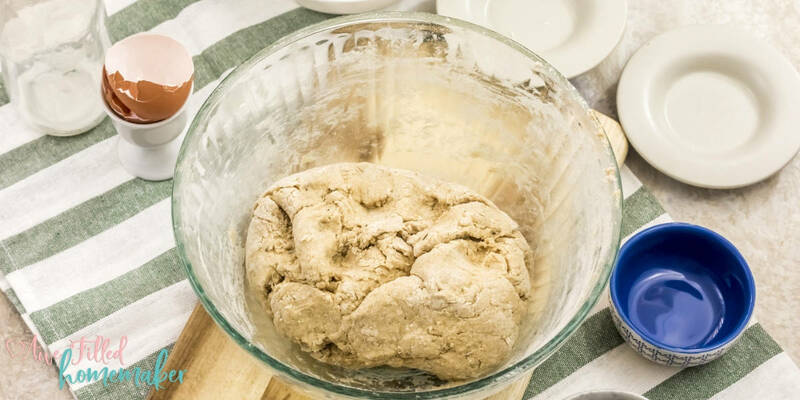 Turn the dough into a well-floured surface and lightly knead it into a rough 6 inch ball. Do not over knead. Using a serrated knife, score an X on the top of the dough. Very carefully transfer the dough into a well-greased air fryer basket. Air fry at 350F for 30 minutes. Insert a toothpick in the center and if it comes out dry, it is done. If it comes out wet, to continue to bake, using 5 minute intervals. When fully baked remove from the fryer and place on wire rack to cool. Slice and serve with butter or jam or with hearty soup and stews. 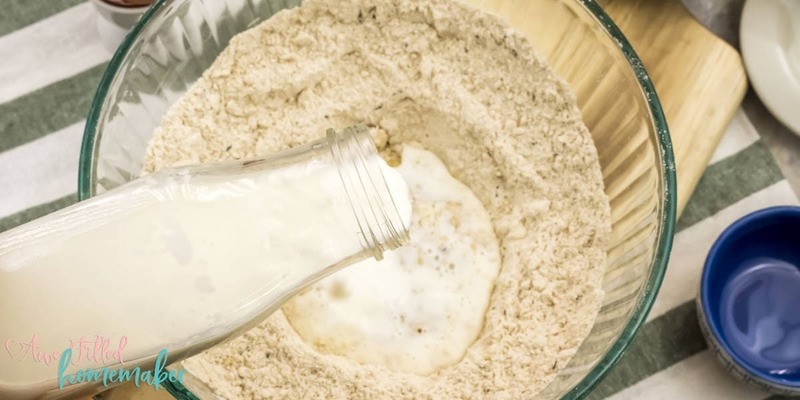 If you don’t have buttermilk, add a tablespoon of white vinegar in a measuring cup. Add milk till it reaches the 1½ cup mark. Let it stand for 5 minutes and then add it in place of buttermilk.